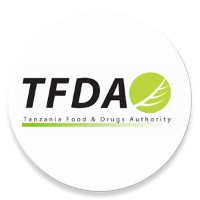 Tanzania Food and Drugs Authority (TFDA) is an Executive Agency under the Ministry of Health, Community Development, Gender, Elderly and Children (MOHCDGE ). TFDA is responsible for regulating safety, quality and effectiveness of food, medicines, cosmetics, medical devices and diagnostics. TFDA main responsibility is stated in the Health policy, 2007 and its mandate is stipulated in the Tanzania food, drugs and cosmetics act (TFDCA) cap. 219. The act provides for the efficient and comprehensive Regulation and control of safety and quality of food, medicines, cosmetics, medical devices and diagnostics in Tanzania mainland. In order to improve public service delivery, TFDA is managed as an Executive Agency in accordance with the Executive Agencies Act, cap. 245 as amended in 2009.
v)To perform any other duties related to the above that they may be assigned by superiors. Holder of diploma or its equivalent in computer science or Information Technology or systems analysts or equivalent. vi)To perform any other duties related to the above as may be assigned by superiors. vii)Perform any other duties related to the above that they may be assigned by superiors. Form IV certificate with class C driving license and trade test grade II in auto mechanics from a recognized institution plus at least 3 years of safe driving. iii)Process applications for registration of premises, licenses, import and export permits of drugs, cosmetics and medical devices. vii)To perform any other duties relevant to the above that they may be assigned by superiors. 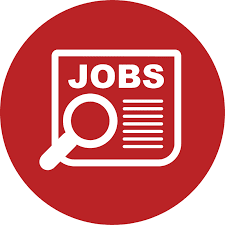 Bachelor of Pharmacy, Veterinary medicines or equivalent qualifications in the related field from a recognized institution with at least three (3) years experience. Holder of Diploma in pharmaceutical science or related field from recognized institution. REMUNERATION: Salary Scale According to TFDA scale. Holder of BSc, its equivalent in Pharmacy, Food Sciences, Food Technology, Microbiology, Herbal Medicine, Botany, Chemistry Biotechnology or related field from recognized institution.